Fans of historical romance, military history, soap operas, conspiracy theories, spy novels, swashbuckling adventure, or political intrigue will find it all here in The Book of Judges! 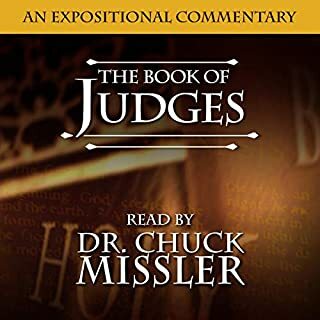 But from a broader and deeper perspective, Judges is essentially the story of a deteriorating nation - and it serves as a sober warning against deterioration in our own nation and in our own personal lives. In Hebrew, this book is called dibhere ha-yamim: ''the words concerning the days.'' The Jewish Bible regards the Old Testament as 22 books and Chronicles is counted as a single book. I and II Chronicles take the form of a history: David and Judah are the focal points. 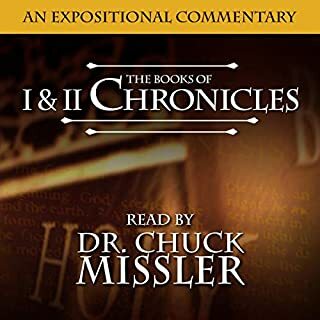 The emphasis of I and II Chronicles is on the Southern Kingdom and the preservation of the Davidic line. Haggai, Zechariah, and Malachi: It is an unfortunate misconception that because these books are called The Minor Prophets, their relevance to our lives is also minor. This couldn't be further from the truth. The richness of life's lessons and our prophetic hope permeate every word. Don't be tricked into missing these overwhelmingly rich studies. During Jeremiah's 40 years of ministry, he never received a hint of gratitude. As one of the most important of the "Major Prophets", Jeremiah is a rich, rewarding study. It is full of surprises, deeply touching episodes, and extremely moving tale. It is also, in many ways, profoundly timely for us today. The Book of Job pulls away our illusions and presents life as it really is. Nothing is more valuable than a valid perspective. One of the most painful - but essential - blessings is the stripping away of our delusions and erroneous presuppositions! That is why it is so important to let the Spirit of God set us straight by the Word of God, correcting our thinking and "renewing our minds" (Romans 12:2). From the human point of view, life ("under the sun") does appear futile, and it is easy for us to get pessimistic. Ecclesiastes goes beyond the wisdom from other literature to emphasize the fact that human life and human goals, as ends in themselves apart from God, are meaningless. This study contains eight hours of verse-by-verse teachings. The books of Ezra and Nehemiah (and Esther) cover about 100 years, closing the Old Testament historical books. 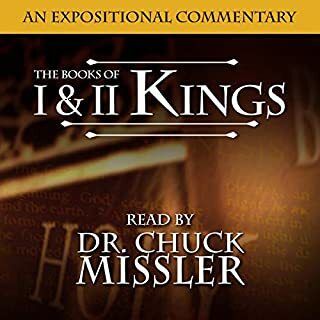 The books of Samuel, Kings, and Chronicles closed with the Southern Kingdom (Judah)'s going into captivity. 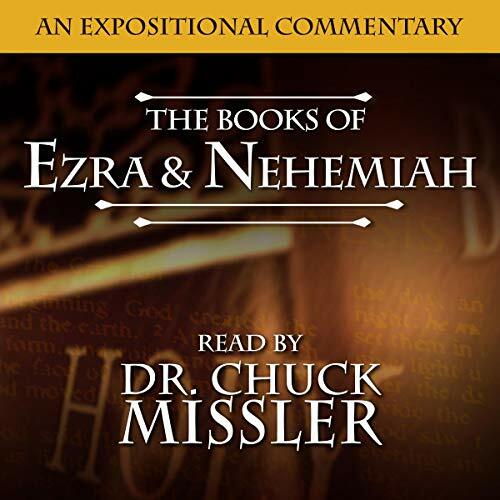 The two post-exile books of Ezra and Nehemiah record the return from Babylon after its fall to the Persians under Cyrus, the rebuilding of the temple and Jerusalem, and the reestablishment of the national life of Israel. 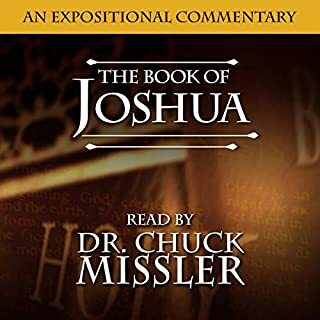 This study contains eight hours of verse-by-verse teachings. Ezra 1-3 - Decree of Cyrus permits Jews to return to Jerusalem to rebuild the temple; the altar is set up and sacrifice restored; the foundations of the temple are laid. Ezra 4-7 - Nehemiahs unselfish example; the rebuilding is opposed; the temple is completed; Ezra is introduced. Ezra 8-10 - Ezra sends for the Levites and Nethinim; Ezra proclaims a fast for the Lord's protection; God's people fail to separate from surrounding nations; reconciliation to God through confession and separation. Nehemiah 1-2 - Nehemiah prays for Israel and makes his request of King Artaxerxes. Nehemiah 3-5 - The rebuilding begins. A defense against a conspiracy: poverty and famine. Nehemiah 6-8 - False rumors about Nehemiah; walls finished; a list of those who returned; the law is read. Nehemiah 9-11 - Ezra's prayer; the covenant signed; the repopulation of Jerusalem. Nehemiah 12-13 - Establishment of priests and Levites; dedication of the city walls; Nehemiahs reforms.